This is a great quick and easy recipe to make for lunch or dinner with pre-cooked lentils and pre-cooked broccoli. Heat lentils and broccoli and top with sauce. Heat oil in a medium pan. Cook garlic until just starting to brown. Stir in tomatoes and saute until the tomatoes are softened. Season with salt and oregano to taste. Add broccoli and stir until mixed well. 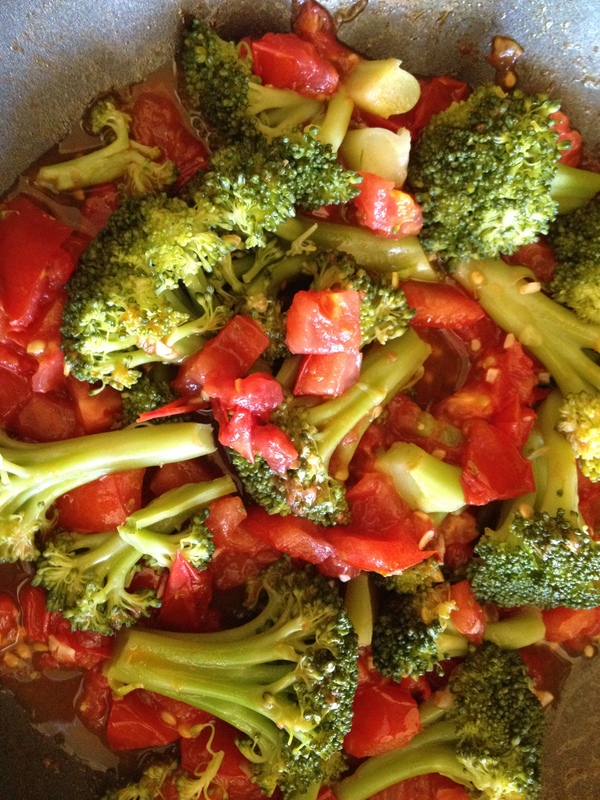 Eat as a side dish or serve over brown rice or whole grain pasta. For a heartier meal, add in cooked lentils, white beans or quinoa. This can also be served cold or added to a salad. 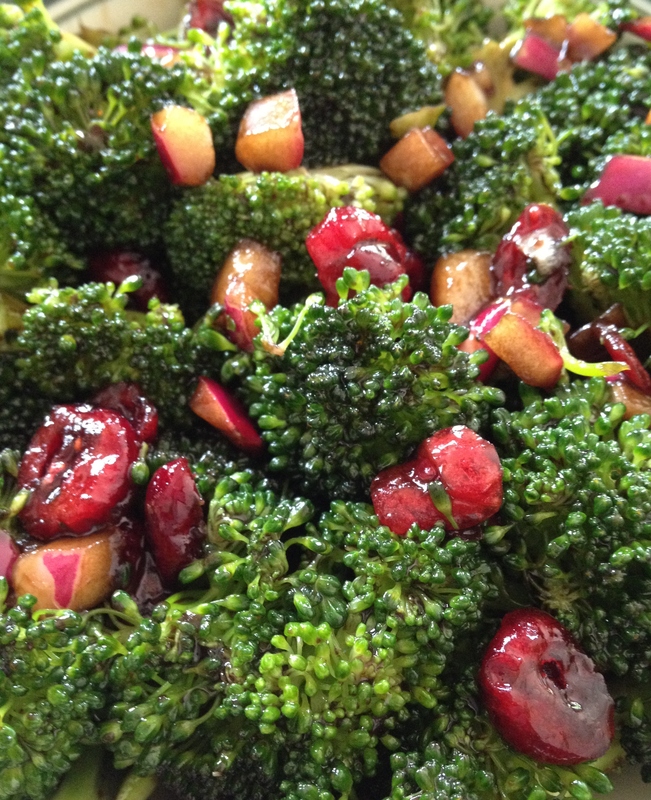 Place broccoli, cranberries and onion in a medium bowl. Next, mix the remaining ingredients together and pour over the broccoli mixture. Toss well to coat with dressing. Cover and chill for at least one hour. 1. Prepare dressing in a small bowl. Mix the olive oil, lemon juice, cilantro, onion powder and salt. Set aside. 2. 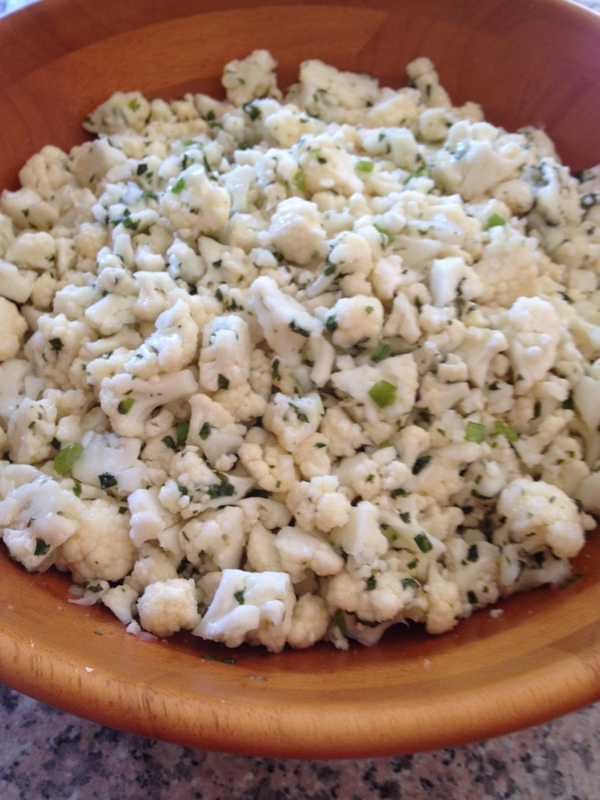 Chop the cauliflower and onions into small pieces. Place in a large bowl, add the dressing and mix well. This recipe can be eaten immediately after preparing or can be refrigerated and served cold after marinating for several hours. Wash kale and remove the leaves from the thick stems. 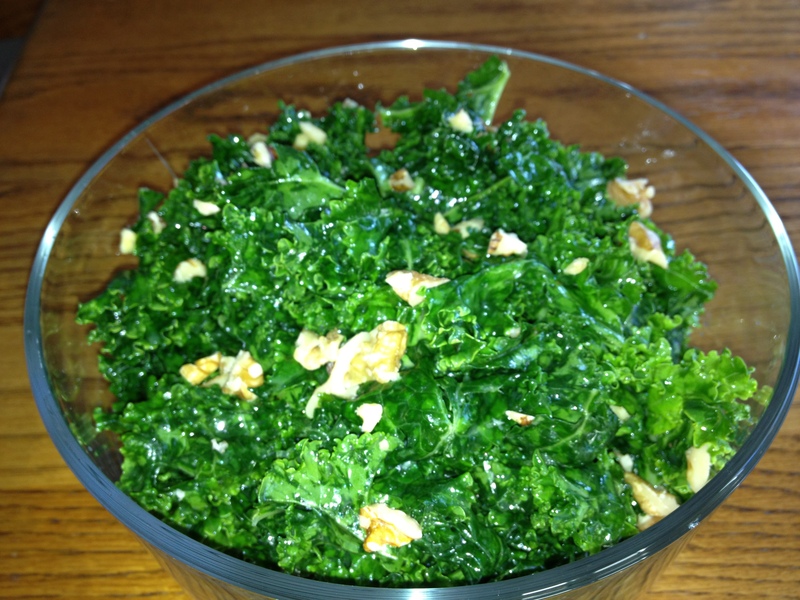 Place the kale leaves in a large bowl, drizzle with lemon juice and add salt. Massage the kale with your hands for several minutes. The kale will soften from the natural heat in your hands and the lemon juice and salt. Once it looks vibrant green and is softened, drizzle with oil and top with chopped walnuts. If you are not a fan of cauliflower, don’t leave! Cauliflower was never my favorite until I roasted it. Roasting brings out the sweetness. The taste is so delicious, that it’s hard to believe that it’s the same food as when it is steamed. Try it and it may become one of your favorites too! 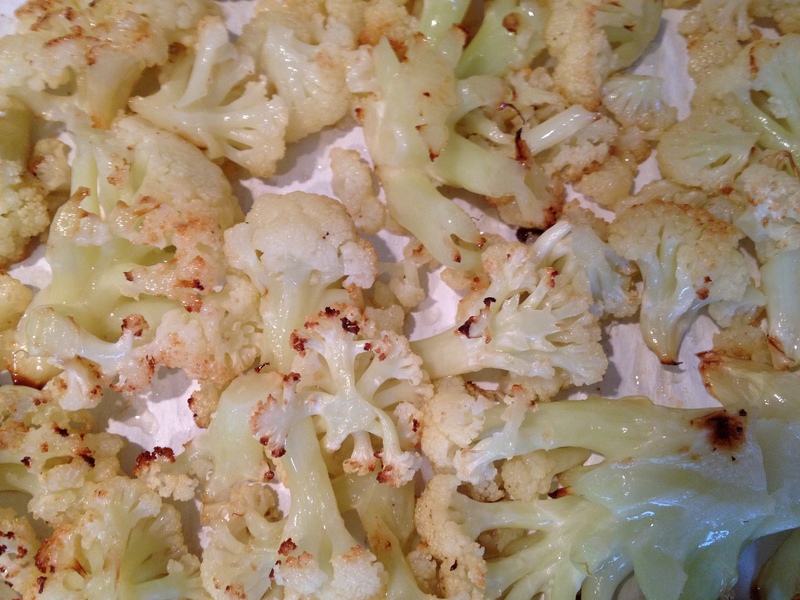 Coat cauliflower with oil on a plate or in a large bowl. Line a large, 1 inch deep baking pan with non-stick foil or parchment paper. 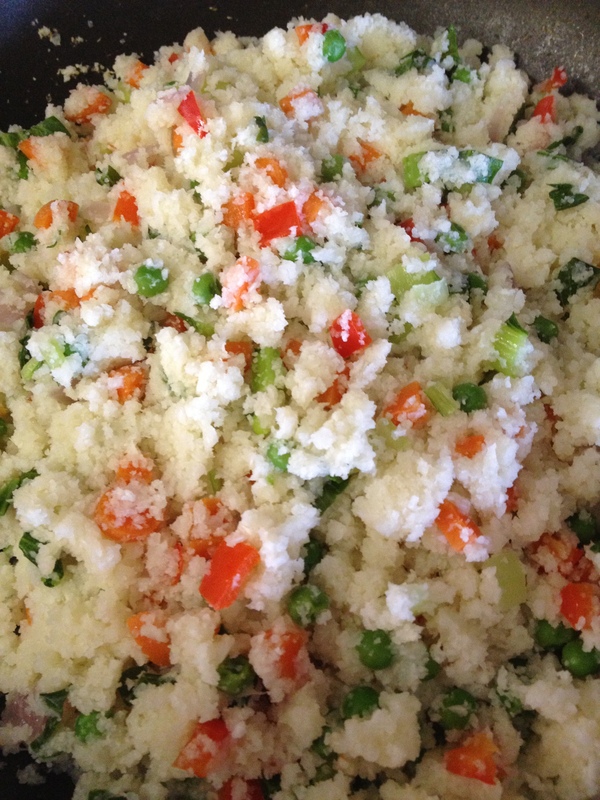 Place the cauliflower on the pan in a single layer and sprinkle with salt. Roast the cauliflower turning it over occasionally, until tender and golden brown, 25 to 35 minutes.